Box Hill Institute doesn’t just deliver education services in Australia, its expertise is also in demand overseas. Industry trainer John Blake works for the Institute’s Contracted Delivery department and has worked in 12 different countries interviewing, coaching and training more than 1,000 participants in programs ranging from English as an Additional Language, Hospitality, and Vocational Education and Training. No matter what he is teaching, he wants the graduates from each program to be Making A Difference (MAD) in their work. 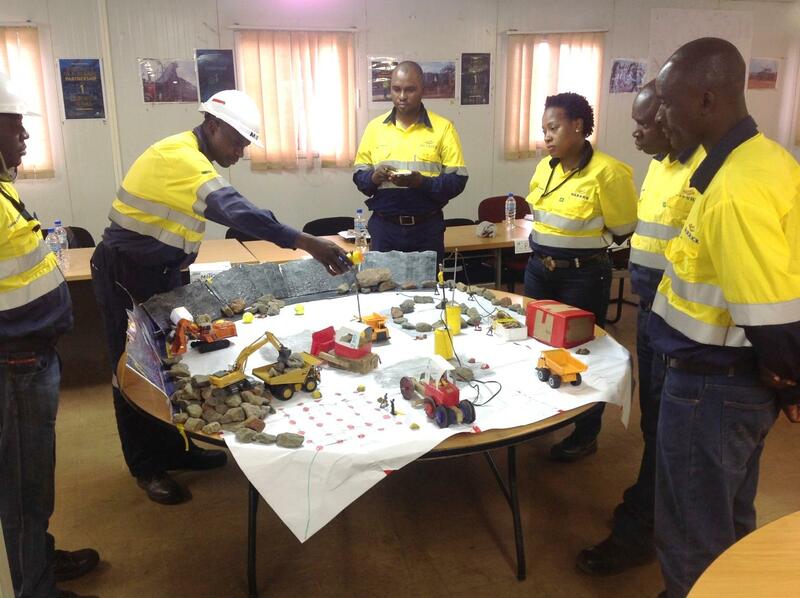 In late 2016, John travelled to Zambia to deliver a Certificate IV in Training and Assessment course for the Barrick Gold Corporation, which operates the Lumwana copper mine producing nearly 200,000 tonnes of copper annually from a mine site the size of nearly 6,000 MCGs. The Certificate IV in Training and Assessment course provides an internationally standardised training benchmark to equip employees as assessors. Many of the participants in John’s course had never been to university and the course represents their highest qualification to date. John faced several challenges in Lumwana, surviving encounters with a deadly snake, bugs, millipedes, torrential rains, lightning storms, lizards, anthills, and mud pits. On site, employees drove excavators loading 50 tonnes of rock per shovel into the world’s fifth largest trucks carrying in excess of 250 tonnes of copper-lined rock to the crusher. Other employees work on drilling and blasting rock faces. Amongst this, he met two students in his Certificate IV in Training and Assessment course who made a particular impression, Emmanuel Matisha and Elijah Chimbila. 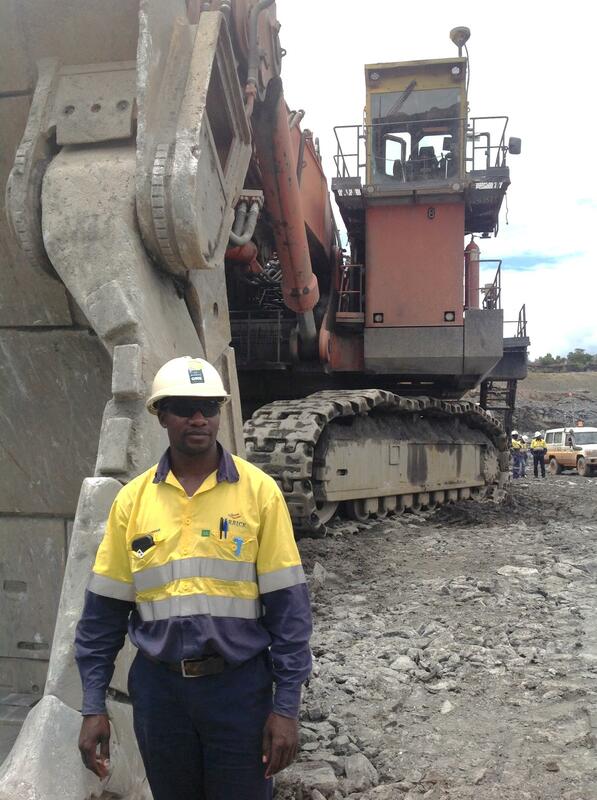 On any given day, Emmanuel is responsible for the movement of nearly 4,000 tonnes of raw material. For six years, he has been an enthusiastic operational mine trainer for shovels (front-end loaders) and excavators teaching skills to experienced and new employees. He speaks six languages and currently serves as the Secretary for Youth, an ambassador for young people’s social wellness, in the Northern Zambian district of Kulumbila. 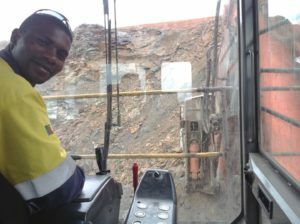 Elijah Chimbila is a young heavy haul truck trainer, who teaches driving skills to fellow employees for Barrick’s Competency Based Employee Development (BCBED) program. He enthusiastically embraces the Barrick motto, “Everyone going home safe and healthy every day” [sic]. Participants of the Certificate IV in Training and Assessment course produce e-learning and paper-based material with visual, aural and kinaesthetic resources and activities to encourage interest in subjects being taught. As students develop their own teaching sessions, they’re taught that learning is more engaging with a “hook” and that trainers need to make learning interesting. Emmanuel and Elijah went above and beyond in creating their teaching materials. The two men spent an entire weekend building working models of earthmoving equipment (dozer, grader, ramp) out of wood and plastic scraps, producing an impressive 2m2 diorama to demonstrate movement procedures and signals in the mine pit before employees go out on site. Their project created enough attention to attract the General Manager who came to the training venue to learn more about the model. 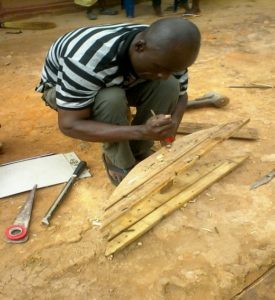 John said, “Emmanuel went out of his way throughout the program to improve resources he created and get the most out of the course. He created not two, not three but six versions of one of his assignments because he saw ‘areas for improvement’. Less than a week after developing these resources, he was already using them in training and assessment. “Elijah went out of his way to support others in the group and took it upon himself to mentor colleagues in their training, coming before class and staying after the session had finished to assist them. “He implemented his exceptionally crafted resources less than a week after finishing the course and has already started writing and preparing quality training resources and assessments for the BCBED program and training new employees,” John said. In January, John returned to Zambia to deliver the second Certificate IV in Training and Assessment course to an enthusiastic new cohort. He returns to Australia in March to discover his next teaching appointment, helping vocational trainers to be MAD in their trainees’ lives.